In term of financial performance, during the year 2016 the growth of Adhi Persada Beton remains solid. According to PT Adhi Karya (Persero) Tbk Financial Report 2016 as cited by JobsCDC.com, Adhi Persada Beton reported total assets of Rp 473.97 billlion in 2016. This total assets figures significantly rise 23.42% better than 2014 period (Rp 384.00 billion). 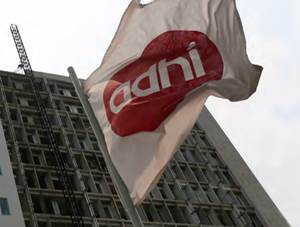 Referring to its financial report, Adhi Persada Beton booked total revenue of Rp 1,332.83 billion in 2016 as compared with Rp 149.01 billion in the previous year. Background in Diploma and Bachelor Degree or equivalent (D3/D4/S1), majoring in Mechanical Engineering, Electrical Engineering, Electronics Engineering. Able to be a problem solver in a factory environment. Understand how machines work and the production process. Understand the system, way of working and methods of maintaining industrial tools. Background in Diploma and Bachelor Degree or equivalent (D3/D4/S1), majoring in Civil Engineering, Mechanical Engineering. Previous experience in leading the factory with a minimum of 300 workers. Have a good understanding of manpower regulation. Understand how production processes work. Background in Diploma and Bachelor Degree or equivalent (D3/D4/S1), majoring in Civil Engineering. Able to be an engineering problem solver. Understand the planning, product applications and production processes. Have a good understanding of engineering standard both local and international. Mastering computerized program structure language. Possess certification in K3 Umum and Quality Auditor. Understanding basic quality control in the field of precast. JobsCDC.com now available on android device. Download now on Google Play here. Please be aware of recruitment fraud. The entire stage of this selection process is free of charge. PT Adhi Persada Beton - Recruitment Staff, Head, Manager Adhi Karya Group July 2017 will never ask for fees or upfront payments for any purposes during the recruitment process such as transportation and accommodation.